The New Jersey Compassionate Use Medical Marijuana Act has been expanded to incorporate Post-Traumatic Stress Disorder as a qualifying condition. Governor Chris Christie signed Assembly Bill No. 457 into law last week. PTSD has becoming a growing problem in the USA, particularly since the terrorist attacks on September 11, 2001 and consequent military action. Up to 20 out of 100 veterans who served in Afghanistan and Iraq have PTSD – its the largest number of cases seen for several generations. “This bill would provide struggling veterans and others with the ability to use medical marijuana to treat PTSD, but only after it has been determined by a physician or psychiatrist that conventional medical therapy is ineffective,” said Governor Christie in a statement (PDF). As a safeguard against abuse, the Governor has directed the state’s Commissioner of the Department of Health to promote additional regulations providing clear objective criteria concerning the use of medical marijuana for the condition. While acknowledging the possibility for abuse, Governor Christie sees the positived outweighing any possible negatives. “Nevertheless, the mere potential for abuse by some should not deter the State from taking action that may ease the daily struggles of our veterans and others who legitimately suffer from PTSD,” said the Governor. There’s been increasing anecdotal evidence that cannabis can be effective in treating PTSD. 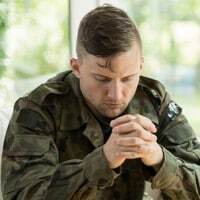 In April this year, a U.S non-profit research group was awarded a multi-million grant to carry out the first clinical trial of whole plant marijuana for PTSD treatment. As well as a progressive stance on medicinal cannabis, New Jersey is also moving forward in re-establishing an industrial hemp sector. Two bills designed to enable cultivation of industrial hemp in the state were advanced earlier this year.